Shellfish allergy is one of the big eight common food allergies. Although shellfish allergies are not as prevalent in the US as peanut allergies, they can be one of the worst allergies and sends more people to emergency rooms than any other food allergy. As with other food allergies, an allergic reaction to shellfish can range in severity. Reactions can be mild to life-threatening leading to anaphylaxis—it’s advised that individuals with shellfish allergies always carry epinephrine auto-injectors. It should be noted that shellfish allergies are not the same is an allergy to fish. If you are allergic to shellfish you do not necessarily have to avoid fish and fish allergy sufferers may not be allergic to shellfish. Typically a shellfish allergy is lifelong and approximately 60 percent of shellfish allergy sufferers did not have a reaction until they were an adult. The most common causes of shellfish allergy are from shrimp, crab, and lobster. As stated above, finned fish are not in the same biological family as shellfish and allergy to one does not always mean an allergy to the other. There are two kinds of shellfish sufferers must be aware of: crustaceans (shrimp, lobster, crab, etc.) and mollusks (clams, mussels, oysters, and scallops)—reactions to crustaceans tend be the most severe. People tend to tolerate mollusks much better than crustaceans. Anaphylaxis—a life-threatening reaction that can lead to shock, and death in extreme cases. If you or your child have an anaphylactic reaction call 911 or seek emergency medical care immediately. If you suspect you have a shellfish allergy or you’ve had any of the above symptoms after eating shellfish, make an appointment with your allergy specialist as soon as possible. At your appointment a detailed personal history will be taken. This will include foods you normally eat, symptoms you have experienced, how long these symptoms lasted and what, if anything, you did to treat your symptoms. A shellfish allergy diagnosis can sometimes be complicated as symptoms vary widely from person to person, and it is very possible for someone to have different symptoms during each reaction. Additionally, people with shellfish allergies do not necessarily have to eat it to have a reaction. They may react when other foods come in contact with shellfish during the food preparation process. Reactions often affect multiple parts of the body—skin, respiratory tract, gastrointestinal tract, and the cardiovascular system. In most cases your shellfish allergy will be diagnosed by a skin-prick test or a blood test. The skin-prick test will be performed in the allergist office and you can expect to have results fairly quickly—often within 15 minutes. A small spot on your forearm or upper back will be pricked with a sterile tooth pick-like stylet and drop of liquid containing the allergen will be introduced at prick site. If you have a positive reaction to shellfish you will immediately develop a small raised hive where your skin was pricked. For blood tests, a blood sample is taken and tested for the presence of Immunoglobulin E (IgE) antibodies—these antibodies are produced by your body in response to a particular allergen (in this case shellfish) and results are typically available in a week to two weeks. The best and only definitive treatment for shellfish allergies is strict avoidance and elimination of any foods containing shellfish from your diet. Additionally, anyone with shellfish allergies must check ingredient labels on packaged and prepared foods. You should also avoid seafood restaurants, even if you order non-shellfish containing meals it may be impossible for the kitchen to not cross-contaminate your meal. The federal Food Allergen Labeling and Consumer Protection Act (FALCPA) requires all packaged food products sold in the US that contain shellfish in its ingredients, must list the specific shellfish item on the label. Currently, advisory labels such as “may contain” warnings are not required to be on packages, but some companies list whether a food was produced in a facility or on equipment that comes in contact with shellfish. The absence of shellfish terms does not mean the food is safe for you though. If in doubt, contact the manufacturer and avoid the food unless you are certain it is free of allergens. Since food allergies are the most common causes of anaphylaxis, patients with shellfish allergies should always carry epinephrine (adrenaline) auto-injectors with them—this is the only first-line treatment for anaphylaxis. If you are not sure whether an allergic reaction is leading to anaphylactic shock, you should use the epinephrine treatment anyway—the benefits of early use outweigh the risks of an unnecessary dose. Involve all caregivers: relatives, babysitters, teachers, and the school nurse need to be made aware of your child’s allergy. 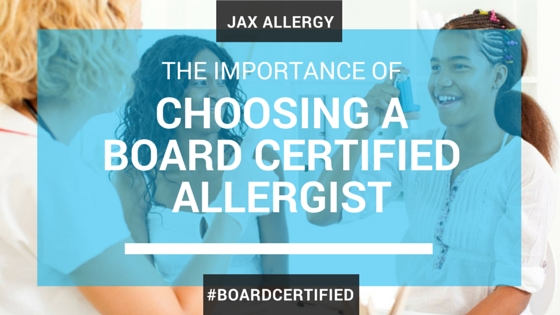 Emphasize with them the severity of the allergic response and ensure there are emergency supplies on hand. Create written plans: list steps that need to be taken if a reaction occurs. Include all medications that need to be given along with dosage amounts, as well as emergency contact information of family members and family physicians and allergists. Do not allow your child to share foods: children often share their snacks and treats, ensure your child understands the dangers of sharing foods since they may contain allergens. Purchase a medical alert bracelet: to help adults and caregivers understand your child’s allergies and proper treatments in the case of emergency. This is critical if they are unable to communicate while in the midst of a reaction. The bracelet should include child’s name and specific allergy. If you have a reaction after eating shellfish-containing foods, you should contact your allergy specialist to schedule a test to determine if you have a shellfish or other allergy or if there is some other issue.